Transfer Credit Services (TCS) is a division of the Office of the Registrar at University of Maryland. The goal of TCS is to provide accurate and timely information about undergraduate transfer policies and procedures to transfer advisors and students. Additionally, TCS oversees and supports the undergraduate transfer evaluation process to determine the acceptability of courses, the awarding of credit by the University of Maryland and maintains a Database of Transfer Course Evaluations. The evaluation of transfer courses at the University is determined by the department that manages the scope and content of the subject matter. This review is based on the comparison of the transfer course to courses offered for degree programs at the University of Maryland. Generally, college-level courses completed at regionally-accredited institutions will transfer, provided the course is similar in level, scope, content and expected learning outcomes to courses offered at UMD and a grade of "C-" or higher is earned. Grades of "D-" or higher are accepted for courses completed at Maryland public institutions. 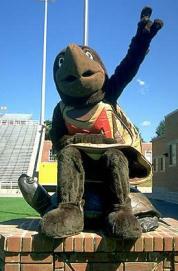 It is important to note that as per University of Maryland academic policies, the minimum grade required to satisfy a degree requirement may be higher than the minimum grade to be awarded transfer credit. The University of Maryland does not award transfer credit for independent study, internship, externship, practicum, or co-op work experiences that are not supervised by University of Maryland faculty. In addition, transfer credit is not awarded for these types of experiences completed through other institutions. no direct equivalency, but is accepted as a general elective. Transfer courses from non-regionally accredited institutions in the United States will be reviewed for acceptability on an individual basis at the request of the student. This review will not occur until the student has been admitted to the University of Maryland as an undergraduate degree-seeking student. Only transfer courses that have been determined to be acceptable for transfer to the University of Maryland will be posted to the students’ academic record. For a course to be deemed acceptable for transfer, the course must be similar in level, scope, content and expected learning outcomes to courses offered at the University of Maryland. Transfer courses from international institutions that are not recognized by the country’s Ministry of Education are not accepted for transfer and will not be awarded credit by the University of Maryland. Students and advisors will work together to decide how courses fit into a student's individual academic program and are applicable to degree requirements based on the awarding of transfer credit by the University. Note: a transfer course CANNOT be applied toward satisfying a degree requirement until the course has been deemed acceptable for transfer by the University of Maryland. For information on admissions requirements, including questions about application materials, admissions process or to verify receipt of any materials to be used in your application (including transcripts), please visit the the Office of Undergraduate Admissions website or contact them directly at ApplyMaryland@umd.edu. For questions about the acceptance and evaluation of undergraduate international transfer courses, please refer to the International Transfer Credits section of the TCS website. For current students who want to verify that their transcript has been received or request their domestic transfer courses are posted to their UMD record, please contact Office of the Registrar's Records and Registration Services at registrar-help@umd.edu.